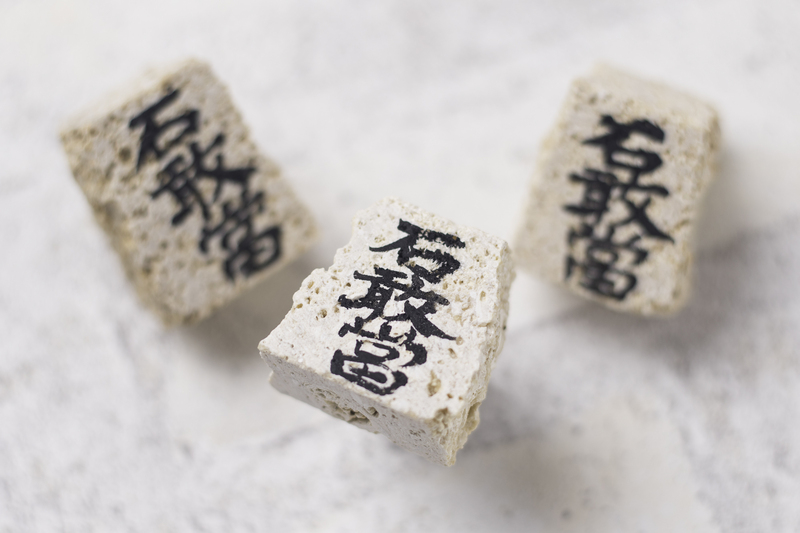 Attractive ishigantō (shigandang—ornamental stone writing tablets) made of Ryūkyū limestone by Studio de-jin, a local carver best-known for handmade lion-dog statues. 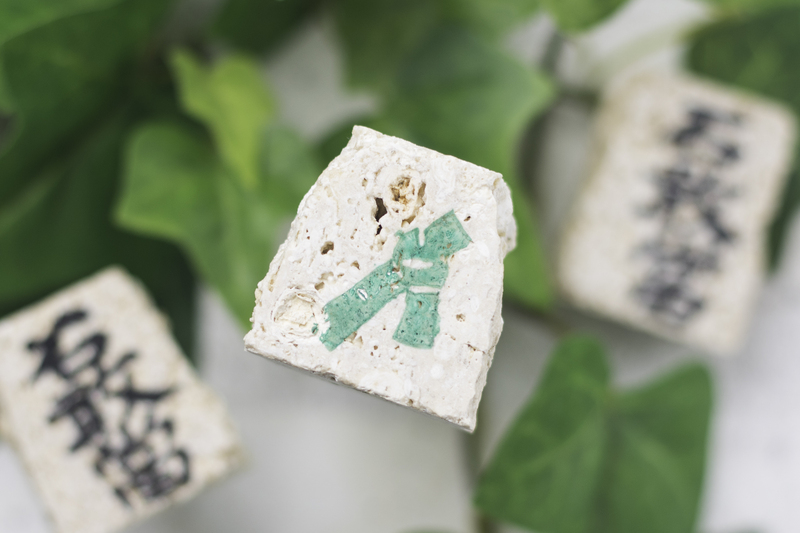 The reverse side depicts images of the sun that are used as a protective amulet in Okinawa. 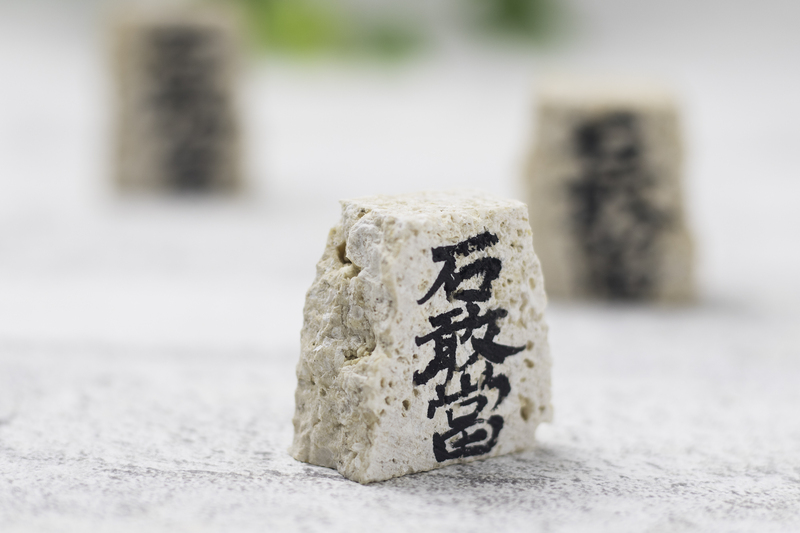 The studio's stone lion figures (shisha) hand-carved from limestone collected in Okinawa are popular. Such figures are said to be the roots of Okinawan guardian statues, and their surprised expressions are charming.